Golf at one of Bintan Island’s premier courses and stay at the Ria Golf Lodge starting at USD175 per person. 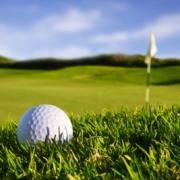 The “Golf Package” includes a 1 night stay in a “Par” room, breakfast, 18-holes of golf, a caddy, and a golf buggy. The package also includes transportation from Singapore with roundtrip ferry tickets to Bintan Island, express immigration clearance, and transport to the Golf Lodge. Prices are valid though December 31, 2012. 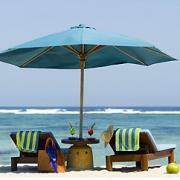 Experience the beautiful island of Bali with a 3 night/4 day package at the Sun Island Kuta Boutique Hotel. For USD265 the package includes accommodation in a Deluxe Room, daily breakfast, WiFi access, round-trip airport transfers, and one set lunch or dinner. Service charge and taxes totaling 21% are additional. The ‘Sunrise Hot Deal’ package is available until June 14, 2012. Escape to the Novotel Lombok Hotel and enjoy complimentary buffet breakfast and 20% of the room bill as credit to spend at the hotel restaurant or spa. 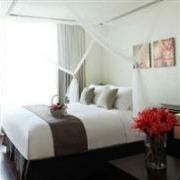 Nightly rates start from USD94 for a Superior Room, USD115 for a Deluxe Room, or USD190 for a Villa. Service charge and local taxes totaling 21% are additional. The “Escape Package” must be booked by May 31 for stays through December 20, 2012. 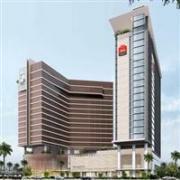 For a comfortable stay at a low price, you can’t beat the 3-star Ibis Hotel Jakarta Kemayoran. 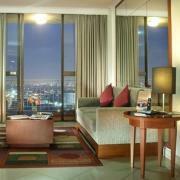 Nightly rates start from just USD36 for a Standard Room or USD41 for a Standard Room with breakfast. Service charge and local taxes totaling 21% are additional. 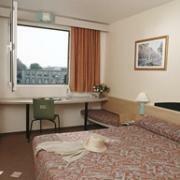 Wireless internet access is free and the hotel even has a swimming pool. The “Hot Deals” promotion is available now through June 30, 2012. 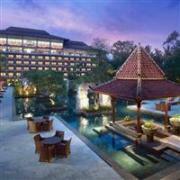 It pays to book in advance at the Sheraton Mustika Mustika Yogyakarta Resort & Spa. Guests who book in advance save up to 25% off best room rates and enjoy free perks like a welcome drink, airport transfer, and WiFi internet. After applying the maximum discount, rates start from IDR835,000 (USD90) for a Volcano View Room. This promotion is available until December 23, 2012.